Azel ilink SP86 pump controller led light not on - auto shut-off? Azel ilink SP86 pump controller led light not on - auto shut-off/down? It is suspected that this is the reason the radiant flooring water heater (Tagachi T-D2-IN-P 510 model) will not turn on. 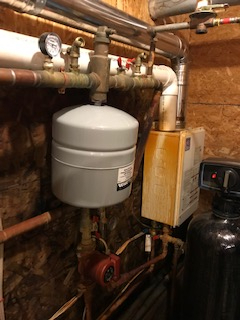 The condition occurred trying start the unit with only one zone open and that zone may have had air - after just changing the expansion tank. Auto-shutdown? Is there a way to reset/restart the ilink led/controller? 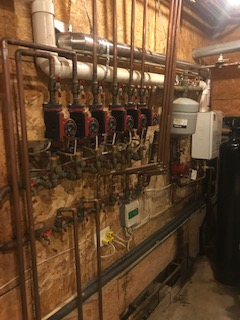 Heater unit? Expansion tank leaked and brown-stained (rust?) side of heater and likely wet ilink controller with stain on bottom right. 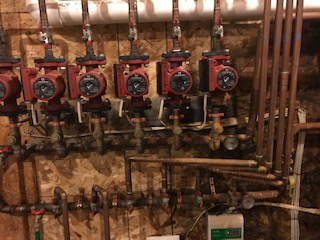 Only reason not suspected mostas reason ilink LED is off is heater and ilink ran during expansion tank leak/spraying of brown rust stains and after expansion tank replacement. 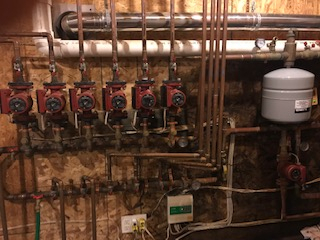 Unit did not re-start until after the 2nd zone was isolated (only zone with open outgoing and return) for purge and attempted to re-start system. 1st zone restarted heater/ilink LED fine with just first zone outgoing and return open. ROOT CAUSE: Azel ilink SP86 pump controller LED power light not on because of water damage to controller from expansion tank failure and leak/spray. Circuit board fried. Brown spot on controller picture above has burnt circuit board underneath. 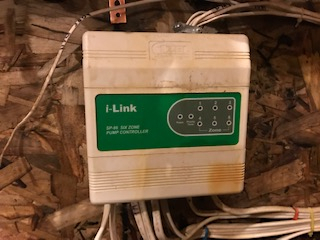 iLink "all in one" six zone controller (includes system/primary pump as well) was replaced with a Taco one zone controller for system circulator pump "jumpered" to a six zone Taco six zone controller.